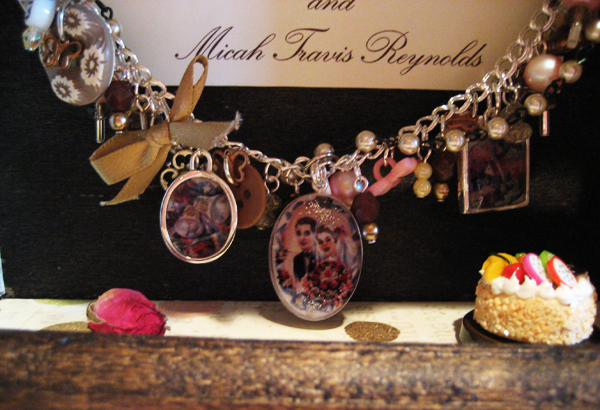 A comment from the mom of the baby whose bracelet is pictured in the below post mentioned that she was considering making a shadowbox to contain the bracelet for display during the years prior to her daughter being able to wear it. 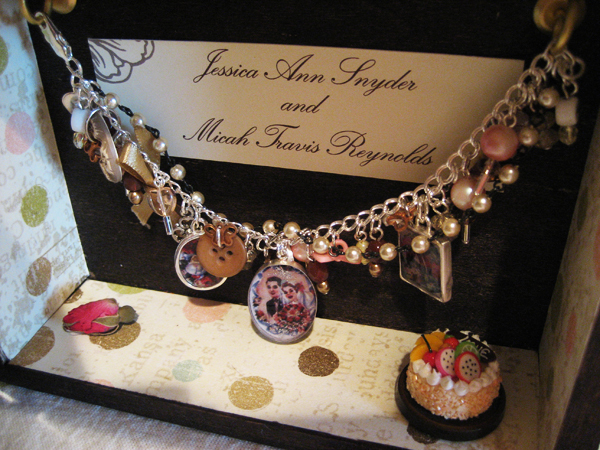 This jogged my memory of creating just such a box when I designed a wedding gift charm bracelet for a friend who I wasn’t sure would be able to wear the chunky bangly thing too often… but might want to display it in her home rather than keeping it in a jewelry box hidden away. The photos aren’t great, but I hope you get the idea. 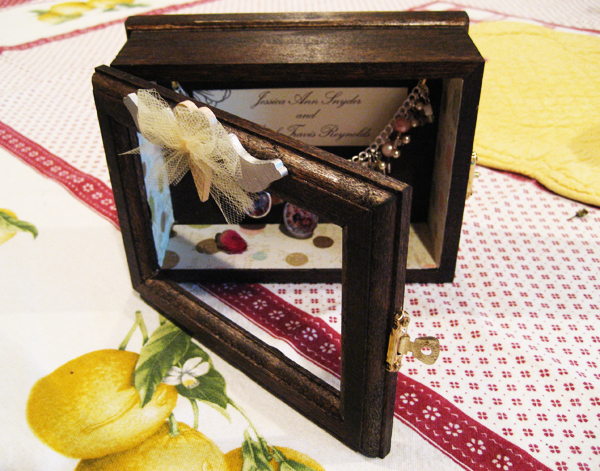 The raw pine box was purchased inexpensively at Michael’s crafts store and has a glass front door. 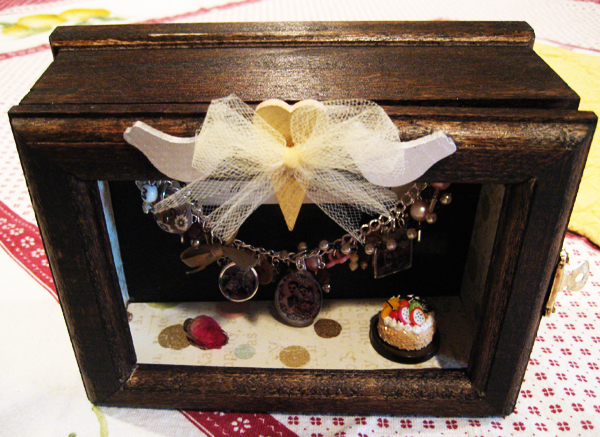 I stained the box and lined it with pretty craft papers, including a scrap from the actual printed wedding invite, installing two small nails on the back wall for hanging the bracelet.